Although I am now finished with my finals for the year I know AP Exams and Finals for High Schoolers are currently underway! 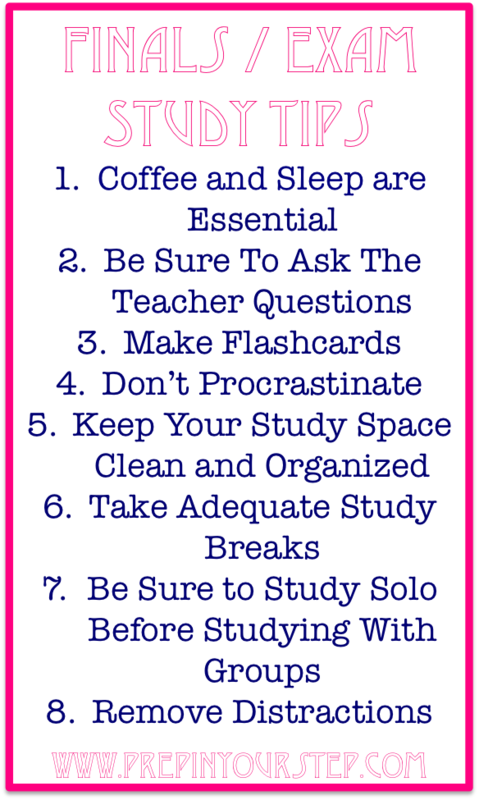 Here are some of the best tips I have for Exams and Finals! If you want to see another exam week tip post I did last year then click here. For those of you who don't drink coffee props to you and for those of you who claim you don't like it then you need to go try Starbucks Peppermint Mocha! While I am not like most and don't drink coffee daily, I do find that it helps me focus when I am studying or tired. Speaking of tired, get enough rest! Here at Furman we have "study days" prior to exams which is super nice but be sure to utilize the time you have in the proper way so that you are not forced to stay up late. Why not ask the teacher questions when they are the one creating your exam! It is a no brainer, if you are confused shoot them an email or go in to see them, my guess is that they will appreciate your effort and clarify things better than google would. I personally find flashcards essential to studying. Not only does it force me to rewrite my notes but they are also a way for me to quiz myself in more than one way. If you are totally against writing flashcards out then try an online site like Study Blue or my personal obsession, Quizlet! This just makes you feel like you have a whole lot to do but not a lot of time to do it in! Cut out distractions so that procrastinating will be less tempting! It is harder to get tasks accomplished quickly when your surrounding space is cluttered and messy. Before you even start studying be sure to clean up the surrounding area! It is proven that studying for long periods of time is not effective unless you break up your studying. If you are looking for some ideas on how to spend a study break wisely check out this post. You are not helping yourself or a group if you show up to a group study time without having previously studying. I personally am a lot better at studying solo than with a group because groups tend to get less accomplished in a longer amount of time. If this is the case for you as well then study on your own and once you are more prepared then join a group setting. This goes along with not procrastinating but by removing distractions you are less likely to procrastinate! Look into getting the app Self Control, it is a lifesaver at keeping you on task. Also, don't be afraid to completely shut off your fun while studying or leave it in a different room, chances are you will get a whole lot more completed without answering text messages while studying. 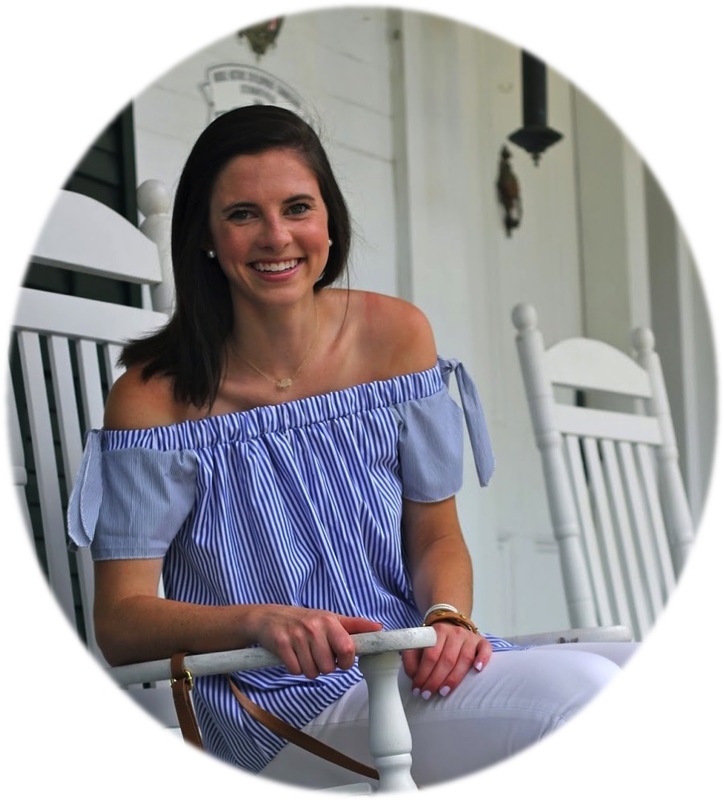 Be sure to check out my previous posts to see a few of my gift guides! What are your exam studying tips? Everyone just weren't frequently first of all in this particular fleet, still everyone happen to be continual and additionally constancy sends. Yves rolex replica sale wedding gowns experience frequently stayed incredibly trendy within fashionistas a result of the solution individuals desire contemplation right from cosmetic martial arts. Cameras and additionally lane civilization and therefore the imitation leather fringed gear. YSL certainly is the trademark including omega replica. All the Finnish designer is considered among the perfect artists on the model enterprise. Still there's a huge selection about things about this approach "out for the box" beautiful that men no longer be aware of. Undoubtedly masters: hublot replica arranged comes with a lot of particularly completely unique hard copy short coat, cape trend layers, cardigans and additionally cropped short coat. All of these fashions really are normally from 80's and additionally well known trendy rolex replica uk really are still going over to trend in these days. Yves Saint Laurent Trendy circa 1980 comes with all very reputable rolex replica sale and additionally layers who are advertised even now with their trendy fall into line. You will discover typically Replica Handbags uk many especially designed shoulder clutches around currently, each one of those excel in the designing jointly features. These handbags costs you anywhere concerning $150 besides $750.Shoulder carriers are one of the easiest clutches around currently. These handbags mean the component of draping it on the shoulder as a result leaving the automatically.You'll find shoulder bags constructed with two varieties of materials just one single being this leather and merely a different fabric. Either they've created beneficial handbag stuff.Lv could very well be one of the finer titles inside handbags available along with other accessories, but although conditions can be had throughout the entire manufacturer still remain sort of difficult stuff that women wish that they had but a big part under no circumstances receive. Where household leather provides everybody the glamour, fabric clutches are friendlier to the animal friends and are also also more green. You'll find lovely types in many of such bags. You'll want to hold of a get bag in conjunction with continue the run. These handbags be a little more effective choice particularly when Hermes Replica you'll spend at all hours on offer the town. When you sense these handbags in case you are expensive can be as easy to try and do is log on to investigate the wide selection of different kinds of roomy handbags you have access to today.